What happens when a soprano has a vocal meltdown in the middle of a sold out performance? 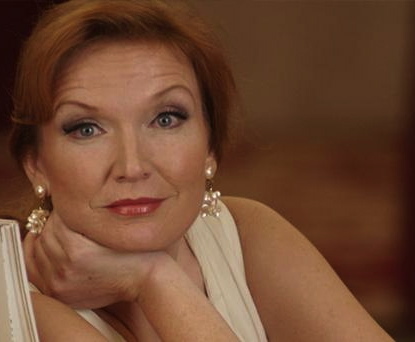 We found out this year at the BBC Proms, when soprano Anne Schwanewilms crashed and burned mid-Strauss. I’ve been writing a lot about great theatrical performances I’ve seen recently, and how inspiring it’s been watching Great Art being performed. Last night, I had a brief insight into what happens when great art doesn’t quite go according to plan, and a reminder that there’s as much to learn from watching failures as well as successes. After being emotionally pummelled by Christopher Nolan’s unrelentingly grim ode to fascism, The Dark Knight Rises, I felt grubby and dirty, in urgent need of a hot shower, and in even more urgent need of watching something lovely and beautiful and life-affirming to scrub the totalitarian grimness from my mind. I settled on the televised broadcast of last Tuesday’s BBC Proms concert, which I’d had tickets to but ended up selling so that I could catch up with a beloved old friend who’d just jetted in from New York City. (That evening lead us to see the stage musical of The Wizard of Oz, but that’s another story for another time). The Proms concert was partially dedicated to the music of Richard Strauss, including a performance of his Four Last Songs – reputedly the last music he ever wrote – and one of my favourite pieces of music. I first heard it, I think, watching the movie The Hours, and marvelling that Meryl Streep’s New York apartment was so large and so soundproofed that she could blast the Jessye Norman recording of Four Last Songs at top volume without the neighbours complaining. It’s a cycle of four songs for a soprano voice with an orchestral accompaniment, with lyrics dealing, unsurprisingly, with the end of life and the awaiting of death. The music is gorgeous and soaring and traverses through a range of emotions we now associate with the grieving process – anger, sorrow, fear, confusion and eventually a blissed-out Zen-like acceptance and calm. Prompted by The Hours and Meryl, I bought the Jessye Norman recording and have been in love with it since – it’s playing while I’m writing this now – but to date, I’ve never heard it performed live. I was excited to finally get to see it performed at this year’s Proms, the BBC’s annual and quite wonderful three-month classical music festival held at the Royal Albert Hall, and now broadcast free via Radio 3 and BBC-TV, which makes it one of the world’s most democratic and accessible music festivals, too. Its popularity is such that it gets performed fairly regularly, so I was happy enough to give up the tickets (they went to another dear friend, who got to go and see the concert – his first experience of the RAH and the Proms – on his birthday, which made everything lovelier) and hope to see it again sometime. Luckily the concert was broadcast on BBC4 – while a TV broadcast can’t quite replicate the textural quality of hearing music performed live, or the excitement of being in a venue as gloriously junky as the RAH, it’s a pretty good alternative. But alas, the Four Last Songs were the evening’s disappointment. The German soprano Anne Schwanewilms, who has a touch of Miranda Richardson about her (creating in my mind another connection with The Hours) was renowned as an interpretation of Strauss, and given that the concert looked sold out, I’m guessing that most of the audience were either there as fans of her or of the Four Last Songs. (Having Strauss’ Also sprach Zarathustra, the theme from Kubrick’s movie 2001: Space Odyssey on the programme probably didn’t hurt either). In a pre-broadcast interview with a typically sibilant and sycophantic BBC presenter, Schwanewilms mentioned that she wasn’t feeling well but was going to sing anyway. which was a grim warning of what was to follow. The show must go on, etc – an admirable sentiment, although given what was to follow, she may have been better advised to have stayed at home in bed, sucked back a Scotch and manuka honey and caught up on re-runs of Home & Away. Her voice, although smooth and modulated, was weak and underwhelming, at times barely able to be heard over the orchestra, and the words came and went like the evening breeze. Things really disintegrated in the third (and most famous song), “Beim Schlafengehen”, where at one point her voice cracked and disappeared mid-phrase, forcing her to drop down an octave before she could recover. She finished the song with a look of impressively beatific calm, barely breaking a sweat and certainly giving nothing away in her face to suggest that she’d just done the equivalent of taking a dump onstage, though she did throw in some alarming loud top notes towards the end and started to gesture with her hands – perhaps to erase what had gone before with a few vocal fireworks? The Proms audience, being mostly white, middle-class and middle aged, responded politely enough – no one booed or threw rotten fruit, as in the monster tap-dance scene in Young Frankenstein – and the BBC commentator politely said nothing about Schwanewilms’ vocal skidmark. (Not so for the music critics, who gave Schwanewilms’ performance a thorough, although not entirely undeserved, savaging in the papers the next day). My first reaction on seeing the performance, after I’d finished cringing, was a mixture of relief that I hadn’t been at the live performance and so didn’t have to be disappointed by an imperfect performance of a piece of music I love, and wondering whether I would’ve been irritated to have seen a professional singer make such a gaping mistake. In retrospect this morning, though, this seems both illogical and ungenerous. Live performance is, by its very nature, unpredictable and subject to human error, and won’t ever produce as pristine and error-free a sound as a studio-recording – so why do we (well, why do I) expect that hearing a live singer will be transcendentally amazing, and as good as or better than a recording? Part of it is the exciting and visceral connection between a singer and a live audience without any mediation (even though most concerts now employ a degree of sound mixing and engineering to live performance), and the thrill of being in the same room as the sound being produced and seeing the performer go through the physical experience of performing the work in real time. But the flipside of that is that live performance, unlike recording, has a degree of unpredictability, where anything, technically, is possible, for good or for ill. Classical music audiences are some of the pickiest audiences around, and audience expectations about the quality of performance at events like the Proms are unrelentingly high – but even that doesn’t guarantee an entirely error-free performance. In that sense, the classical music world isn’t terribly different from professional football – we watch highly trained individuals go through the motions of activities they’ve practised for tens of thousands of hours, we expect them to perform with machine-like perfection, we applaud them when they leap through all the hoops successfully, and we collapse in heaps of frustration and bored outrage when they don’t, and chew over and endlessly analyse the remains. Therein, I think, lies the perversity in any kind of live performance, be it opera or sport – to simultaneously enact one’s humanity but also try to suspend it by striving for inhuman perfection. And in the age of widespread recording and broadcasting, a bad performance isn’t able to be walk away from and forgotten: Schwanewilms has the disadvantage of knowing that her performance was broadcast live on radio and replayed on TV (though something tells me it probably won’t be replayed again). I’m no great fan of the British tendency to support the underdog or sympathise with failure – it breeds a kind of inferiority complex and complacency about the possibility of things improving – but in this case I wonder whether a degree of very British deference to failure is in order. All of us have bad days in the performances that comprise our lives, and it’s as integral a part of being human to fail occasionally as it is to want to succeed and strive for perfection. As much as we’d like to imagine that Schwanewilms and her kind will sing perfectly, on cue, for her entire career, occasionally she will have bum days, which, unlike me, she’ll have the unfortunate experience of having to play out in public with thousands of people watching. So in the final analysis, I’m disposed to leniency. I’m pleased it didn’t happen on my watch, and Schwanewilms is sure to get a smacked bottom if it happens again – but it does happen. Better luck, for her and for her audience, next time. More recently the Norman/Masur Four Last Songs has been re-issued with Norman singing the Wesendonk Lieder. Her performance there is also beautiful, but overall I’d recommend going for the earlier release with the all-Strauss program. It’s a more generously filled CD, and I prefer the stylistic continuity of staying with Strauss, rather than jumping to the Wagner mid-way through the CD. The Wagner is greater music than the Strauss songs, but it is in a different mood, more thoughtful and more astringent (it is lush music, in most contexts; only astringent in comparison with the Strauss). Ideally, buy the all-Strauss program, and seek out Norman’s recording of the Wesendonk Lieder as well.